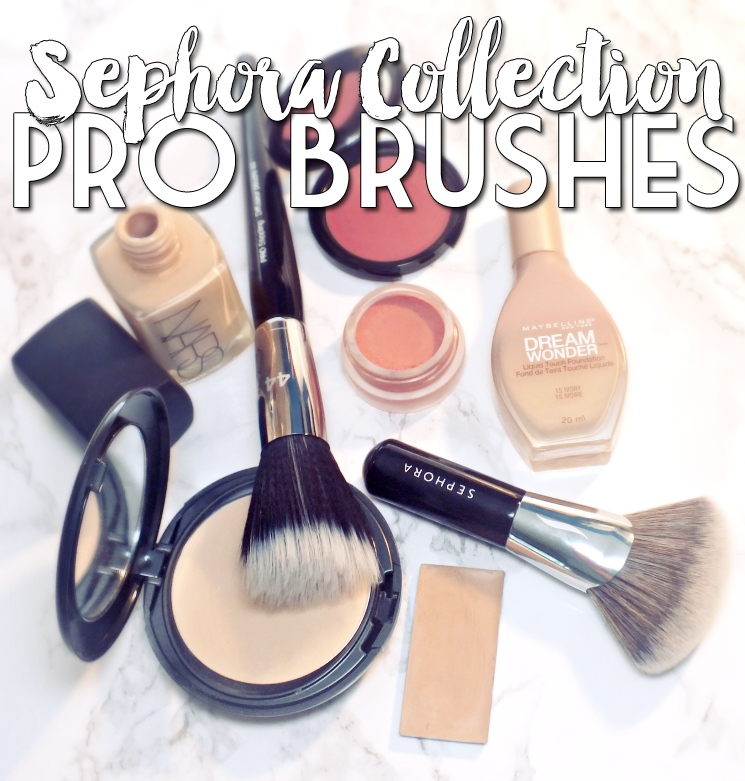 Almost everything in the makeup spectrum is highly collectable, but there is just something about brushes... One of each type is great, at first. Then you add a few more of this, a few more of that, and before you know it you have a huge collection and can find a 'need' for each one. It really comes down to not having to wash them all the time (admit it) but more brushes usually make for merrier makeup lovers. Two new brushes in my collection happen to be multi-taskers (I love a good multi-tasking brush!) from the Sephora Collection Pro range. Read on for a closer look at the Sephora Collection Pro Stippling Brush #44 and Pro Full Coverage Airbrush #53. The Sephora Collection Pro Stippling Brush #44 is a pretty standard stippling brush, designed for sheer application of cream, liquid, and powder products. Sephora only states foundation, but let's get real, you can use it for whatever you want. I actually don't like this for applying foundation as I like a more buffed application. This offers really light application though, should you like a stippling brush for your foundation needs. 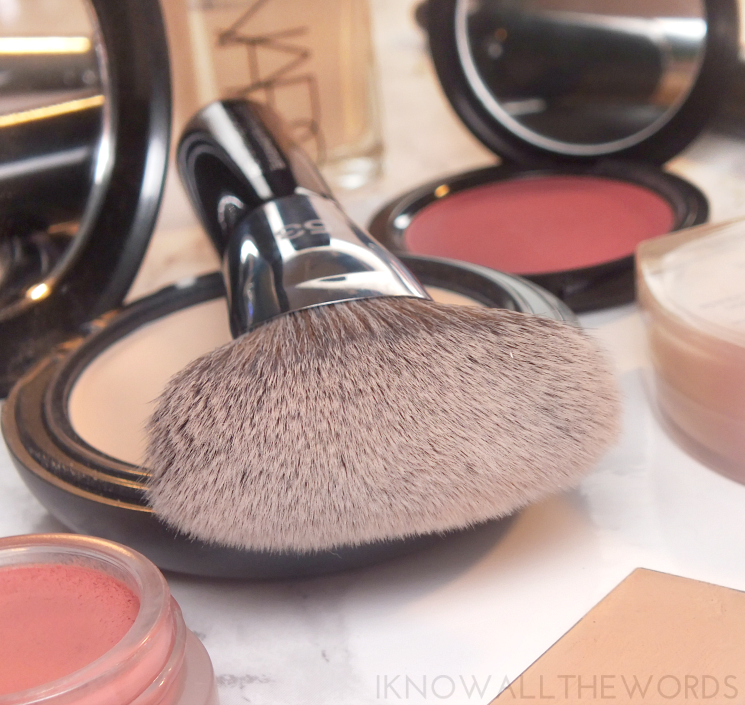 I find this brush is best for highly pigmented products, when you want that lighter touch (like blush and bronzer.) The brush blends quite nicely for something with such a soft touch and does so easily and without streaking- something I've experienced with some stippling brushes. The bristles are very soft, with the white portion being made of taklon and the black being goat. I did experience a bit of shedding on the first use- I lost about ten bristles- which was a tad worrisome, but I can report I haven't had any continued loss since that first use. 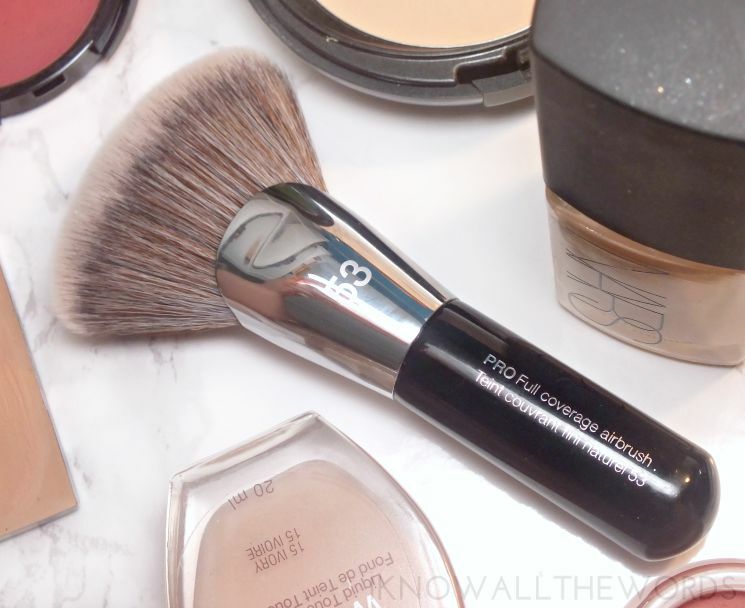 The Sephora Collection Pro Full Coverage Airbrush #53 is the option for you if you prefer to apply foundation with a buffed technique or like a more coverage than what a stippling brush can offer. This brush is pretty cute, as it has a shortened handle and larger brush head. The fanned head works to cover areas faster, but it also allows you to apply a varied amount of pressure for more or less coverage. 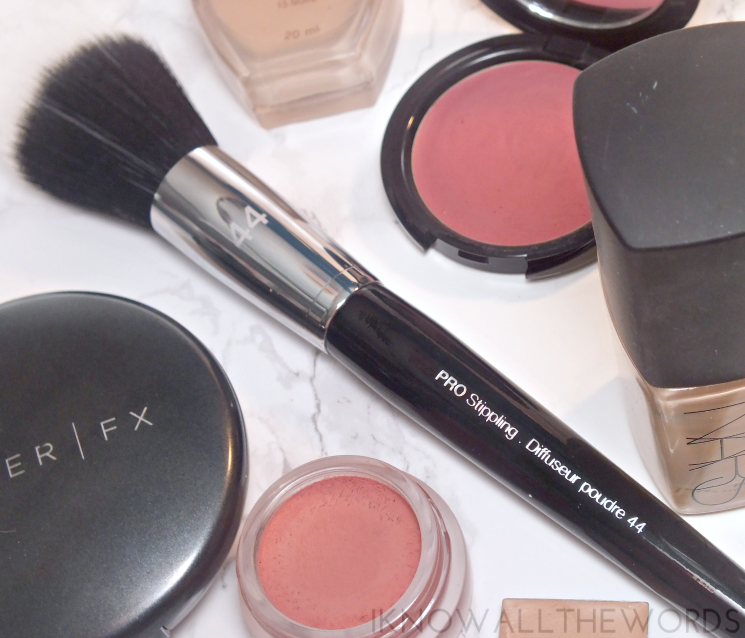 The brush is designed for foundation, but the synthetic fibres work well with pretty much any and everything, making this a 'use-how-you-like' type of brush. I found it works well with liquid, powder, and cream products, plus, the edge of the brush even works for blending concealer if you just can't be bothered to grab another brush. Overall, these are two brushes worthy of space in any collection. 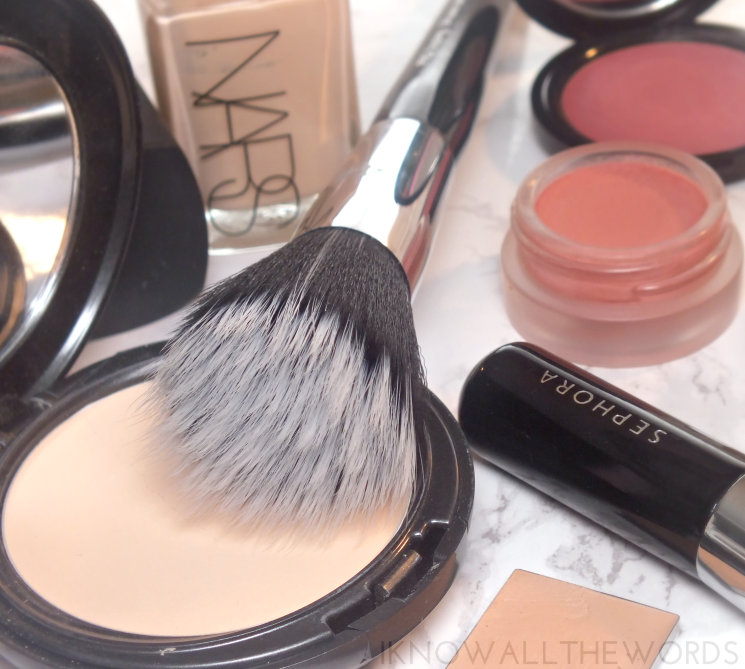 I like #44 best for applying highly pigmented products (aka blush and bronzer) with #53 being a great foundation brush, regardless of your formula of choice. While the quality is great with these- they feel nice in hand (not too light or heavy) and from prior experience hold up well, they do run a bit pricier than comparable brushes. Do you hoard makeup brushes? What styles do you like best for foundation? Tried either of these? Mark. All Butter Now Lip Treats | New Shades!